Go My Journey Pvt Ltd is a reliable Tour & Travel Agent in New Delhi assisting clients with Foreign Exchange. We are instrumental in offering Foreign Exchange Services in order to help clients going out of the country or coming to India on tours in exchanging currencies. 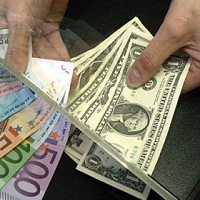 We offer comprehensive foreign exchange services and competitive exchange rates. Our Foreign Exchange Services are available for all currencies. At any time of the day, our expert professionals are available for your help to offer you fair exchange rates.